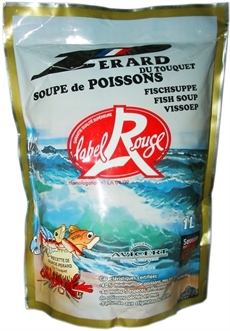 Soupe De Poisson Perard 780g Jar Serves 2-3. Now available in these larger and more cost effective servings. 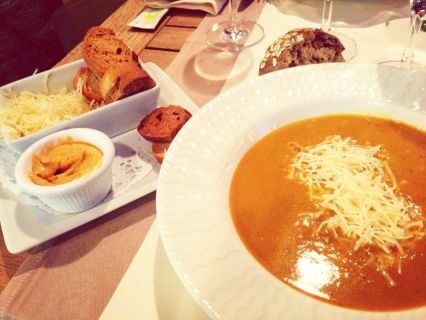 A delicious French fish soup prepared in Le Touquet, which makes a warming, tasty and nutritious starter for 2-3 people or main for three. 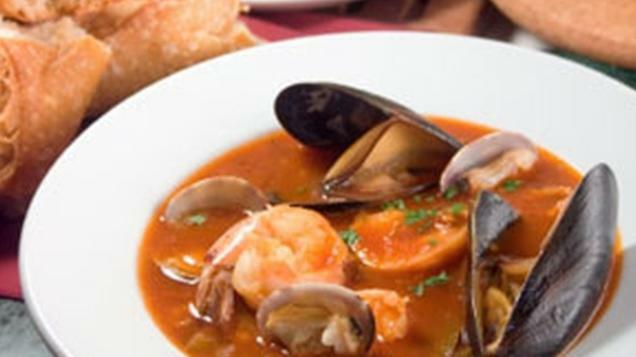 You can also add white fish and shellfish to Perard soup to make a bouillabaisse of sorts! Can be stored up to two years. Storage: Store Perard fish soup in a cupboard. Once open store in a fridge and consume within 3 days. Dietary Information: Gluten free and wheat free. Egg free. Lactose free. Water, Fish 40%, Tomato, Maize Starch, Modified Maize Starch, Salt, Natural Flavourings, Saffron, Fine Herbs. Warm your Perard fish soup in a saucepan and serve with croutons and rouille. If you enjoy cheese a little grated Emmental goes well too. And if you rub fresh garlic into your croutons it will taste even better. You can also add white fish and seafood to your Perard fish soup to make a type of simple bouillabaisse which is delicious and visually appealing when you have family and friends round.